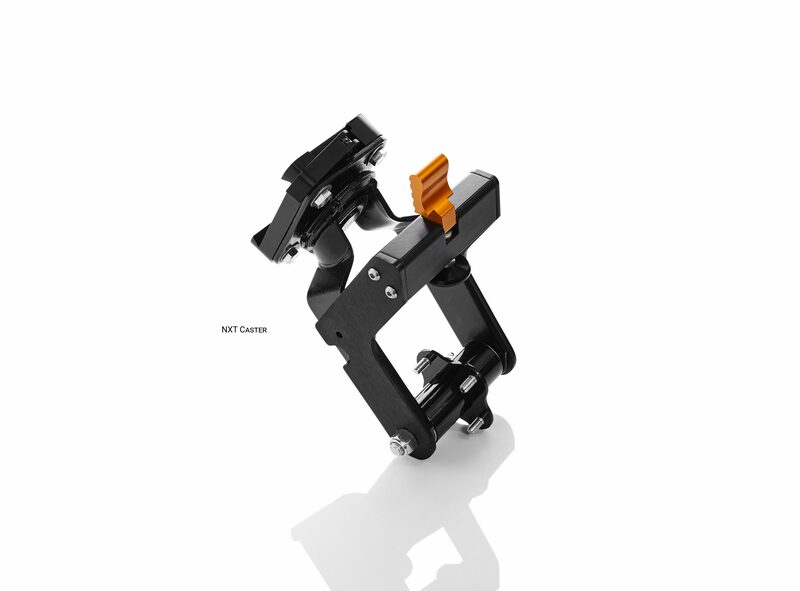 The Scout NXT uses our fully collapsible tool-free design but is priced substantially less than its EVO sibling. 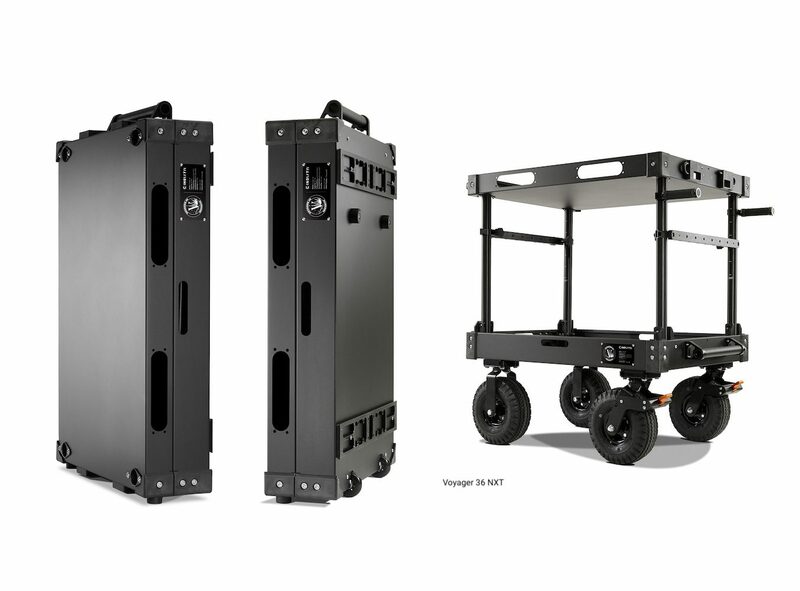 All INOVATIV equipment carts have a 2-3 week lead time. 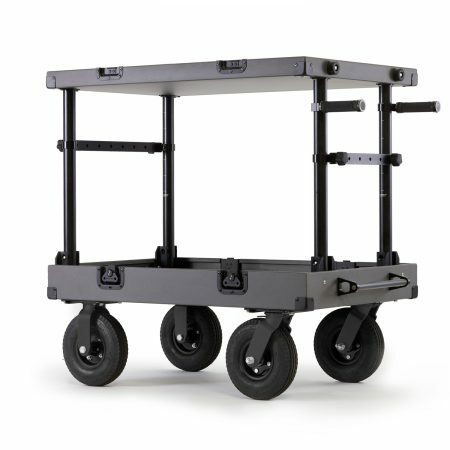 If you are concerned with lead times please contact sales@inovativ.com. 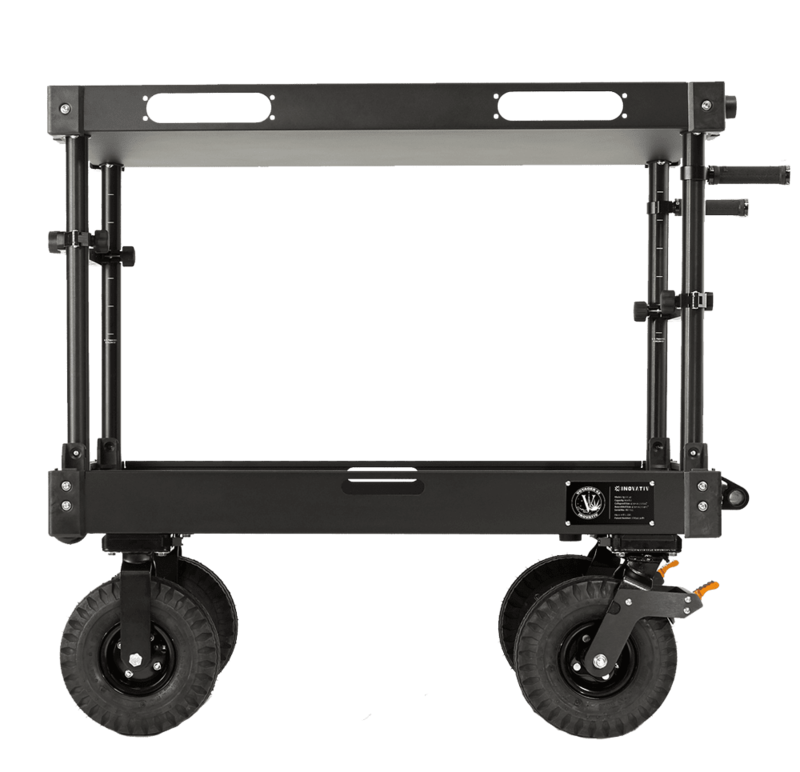 The Voyager NXT utilizes steel casters outfitted with our new aluminum dovetail conversion plates, mounting to the cart quickly and with a much tighter feel. 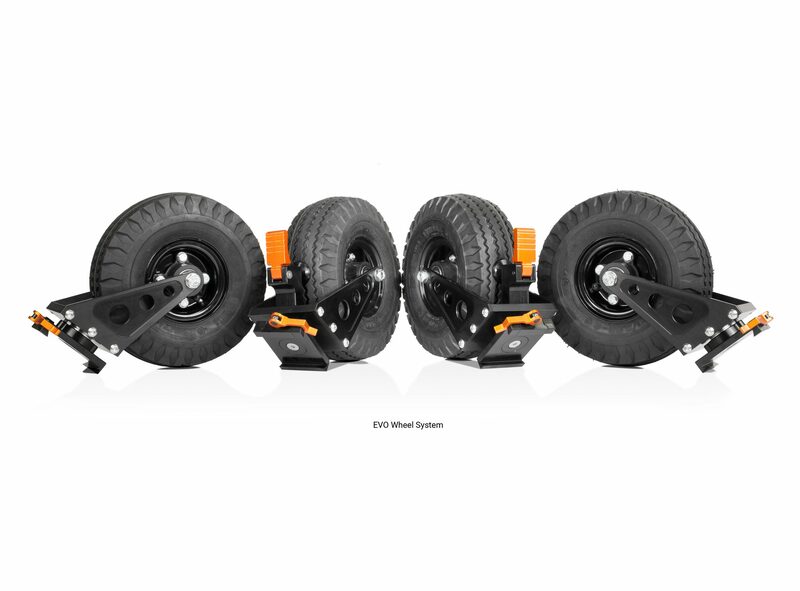 This means its more stable and rolls smoother and quieter than ever before. 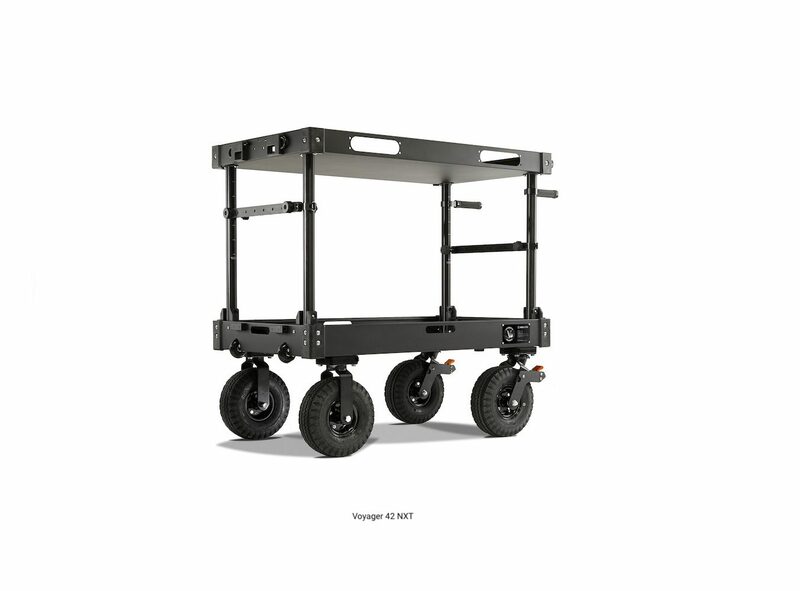 The Voyager NXT is manufactured using the same very best lightweight premium materials used on all INOVATIV carts. 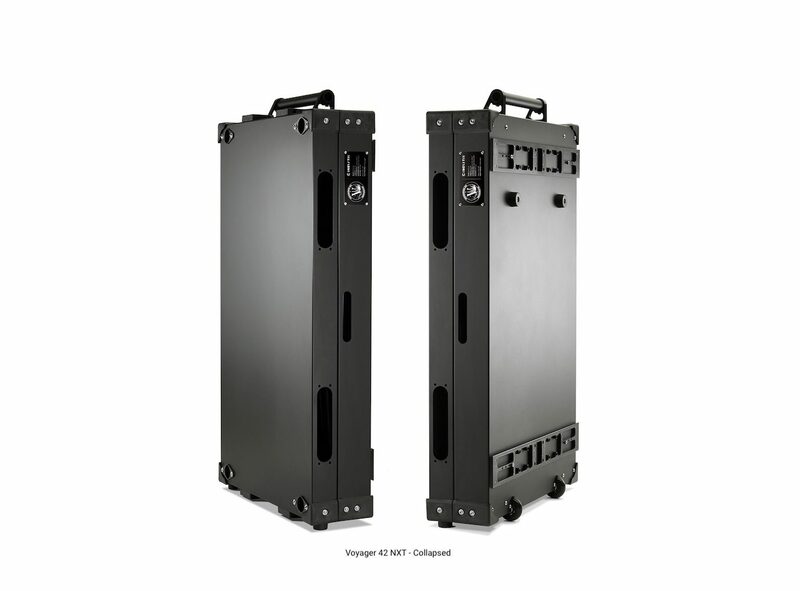 Constructed of 5052 and 6061 aluminum, composite material and stainless steel hardware, the NXT is built tough. 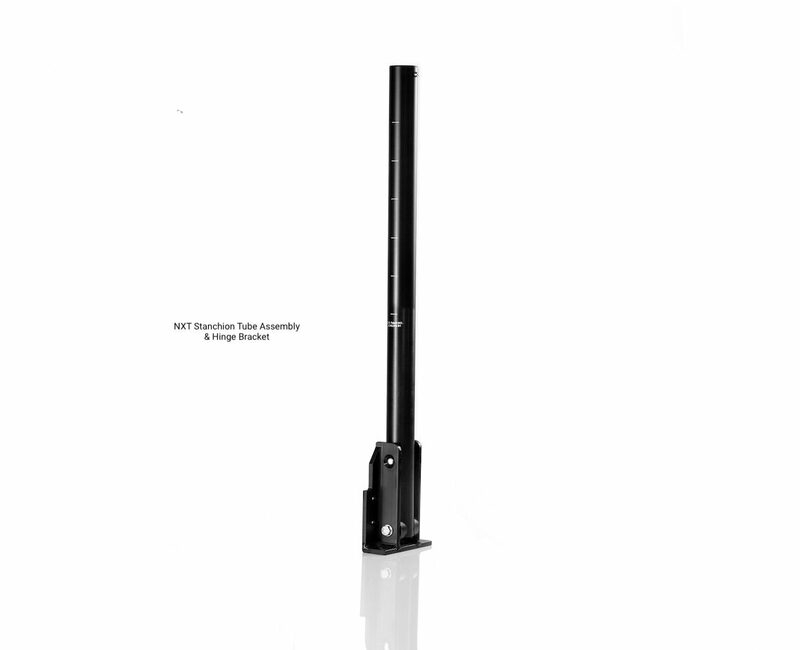 In fact we’ve increased the wall thickness of the up-right stanchion tubes specifically for the NXT to make it stronger. 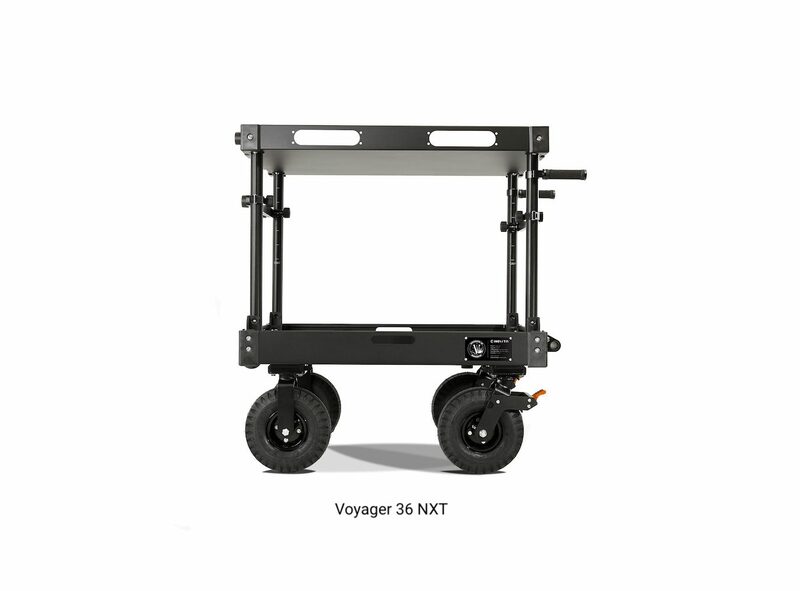 The Voyager NXT is slightly heavier at 86lbs for the 36 and 88 lb for the 42. 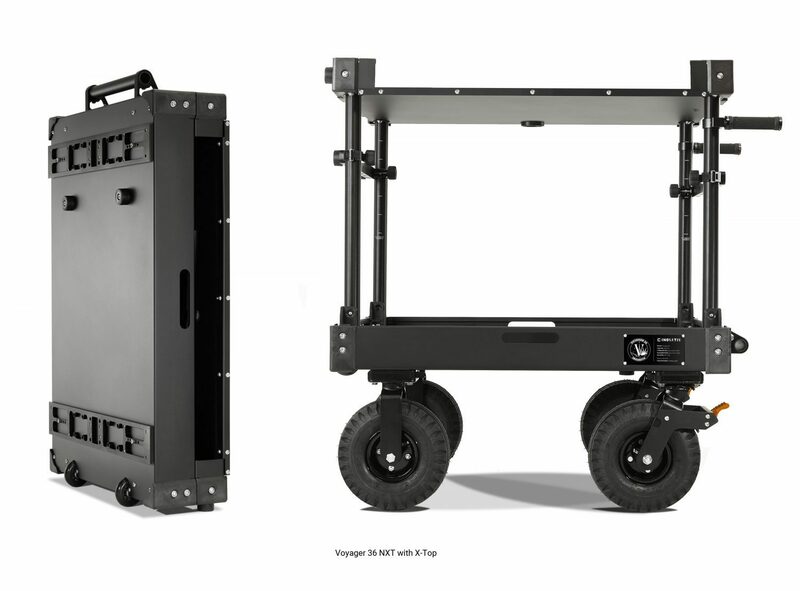 With the portability and slim profile of the Voyager NXT, you can easily collapse and transport the cart in the back of a compact car, small SUV or simply just save space. 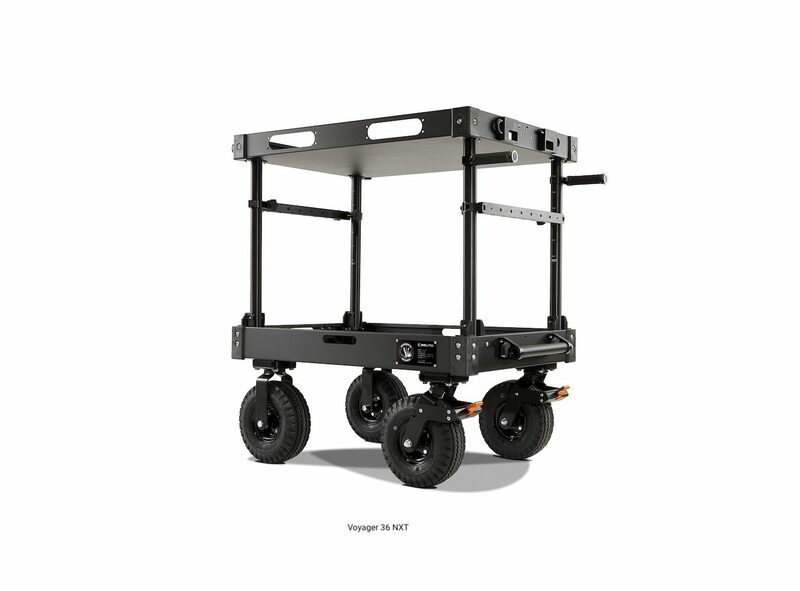 The Voyager NXT does not include our height adjustable top shelf system (SLAS System) nor our premium EVO wheel system. 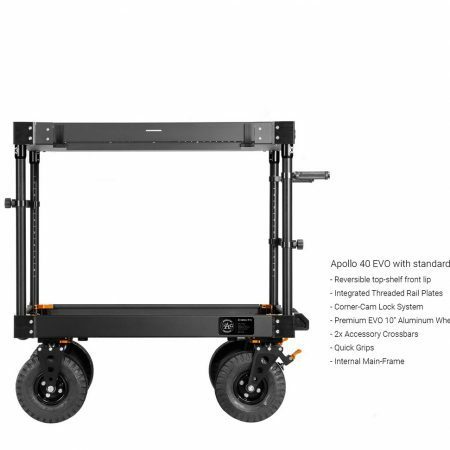 However, at any time you can upgrade to our premium EVO wheel system and SLAS shelving system at anytime. 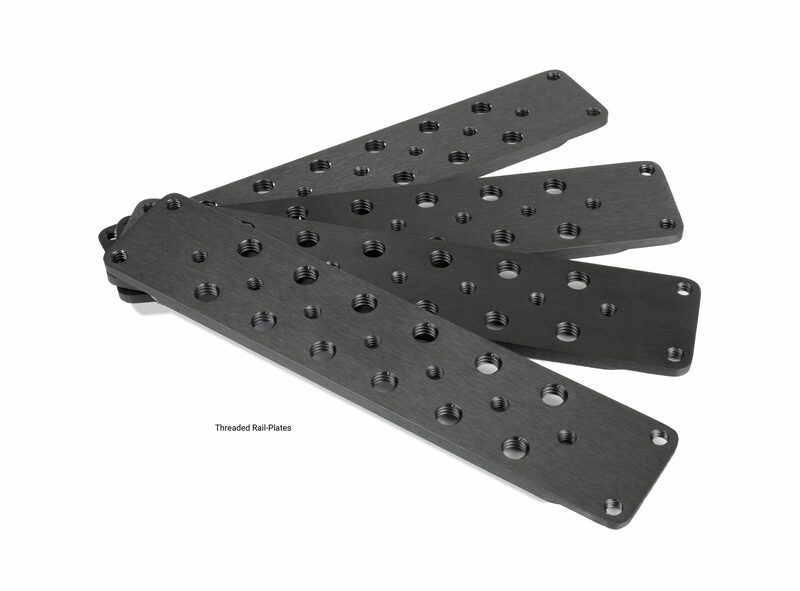 The NXT is already outfitted with the aluminum dovetail making the transition to the EVO wheel system incredibly easy. 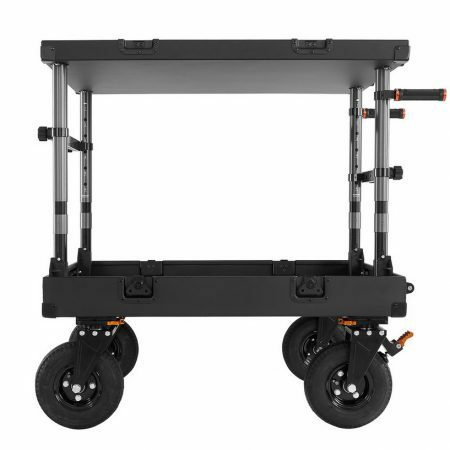 The Voyager NXT uses generic 10″ steel casters with our aluminum dovetail adapter. 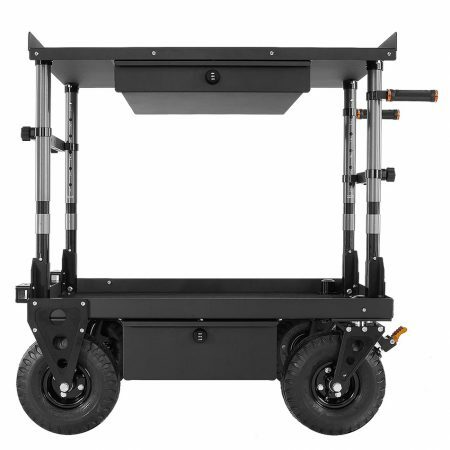 They are easily removable and pack away into the carts internal space when collapsed. 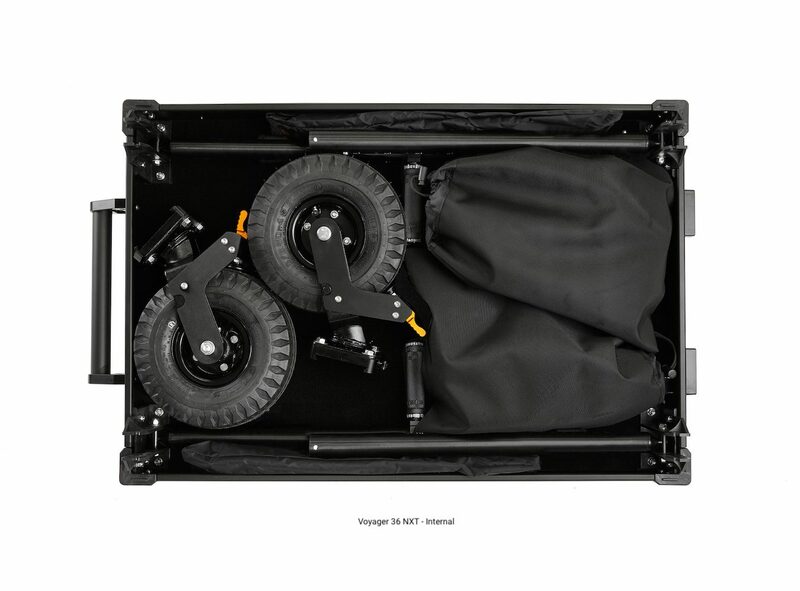 – Fully collapsible – Collapses down to slim 8.25″ thick flight ready travel case. 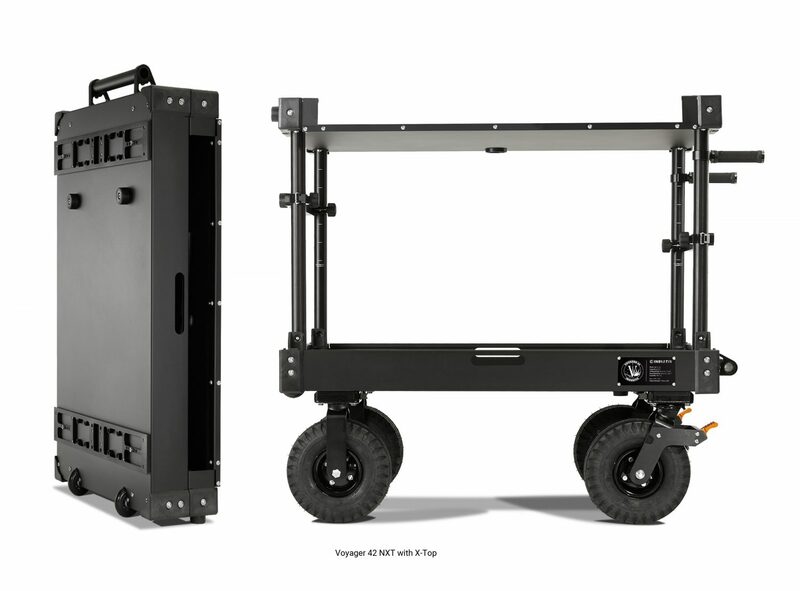 – Constructed of premium 5052 and 6061 aluminum, 40% Glass Filled Nylon Corners & Hinge Brackets, and stainless steel hardware.